I had the honor this week to be part of an interview about the dangers of orthorexia, which is an obsession with healthy eating. Many people don’t realize that trying to eat healthfully can be taken too far, but it definitely can and when it does has severe physical and emotional consequences. It’s ge tting warm out, and that means I’m starting to crave smoothies again! 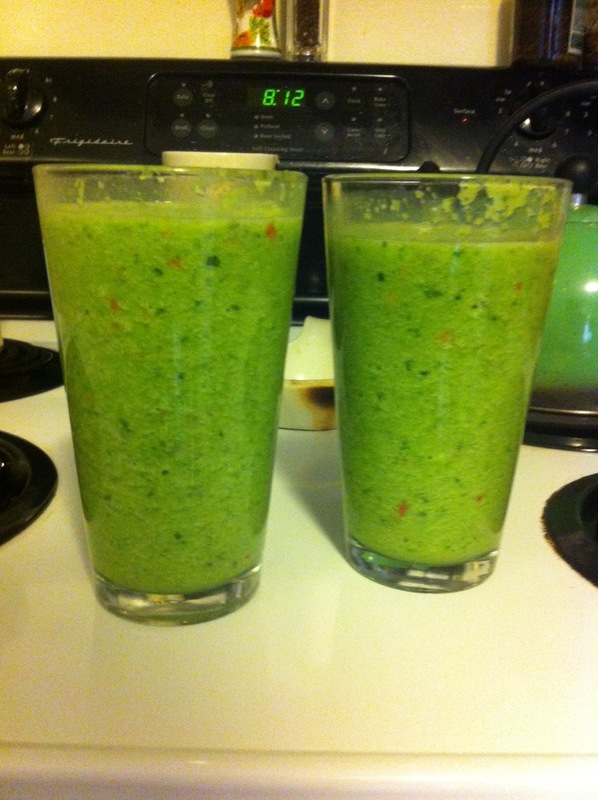 I’m a fan of green smoothies because they are a simple and delicious way to get in lots of nutrition. Makes about 16 oz of smoothie.